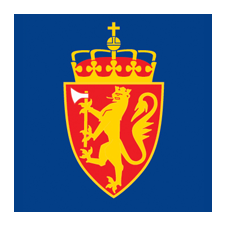 Norway, officially the Kingdom of Norway, is a sovereign state and unitary monarchy whose territory comprises the western portion of the Scandinavian Peninsula plus the remote island of Jan Mayen and the archipelago of Svalbard. The Antarctic Peter I Island and the sub-Antarctic Bouvet Island are dependent territories and thus not considered part of the Kingdom. Norway also lays claim to a section of Antarctica known as Queen Maud Land. Until 1814, the kingdom included the Faroe Islands, Greenland, and Iceland. It also included Bohuslän until 1658, Jämtland and Härjedalen until 1645, Shetland and Orkney until 1468, and the Hebrides and Isle of Man until 1266. Norway has a total area of 385,252 square kilometres (148,747 sq mi) and a population of 5,258,317 (as of January 2017). The country shares a long eastern border with Sweden (1,619 km or 1,006 mi long). Norway is bordered by Finland and Russia to the north-east, and the Skagerrak strait to the south, with Denmark on the other side. Norway has an extensive coastline, facing the North Atlantic Ocean and the Barents Sea.